They’ve been that way for a long time, had been reinforced somewhat before the ceiling was put in, and the bathroom/pantry walls were really taking the load for many many years. 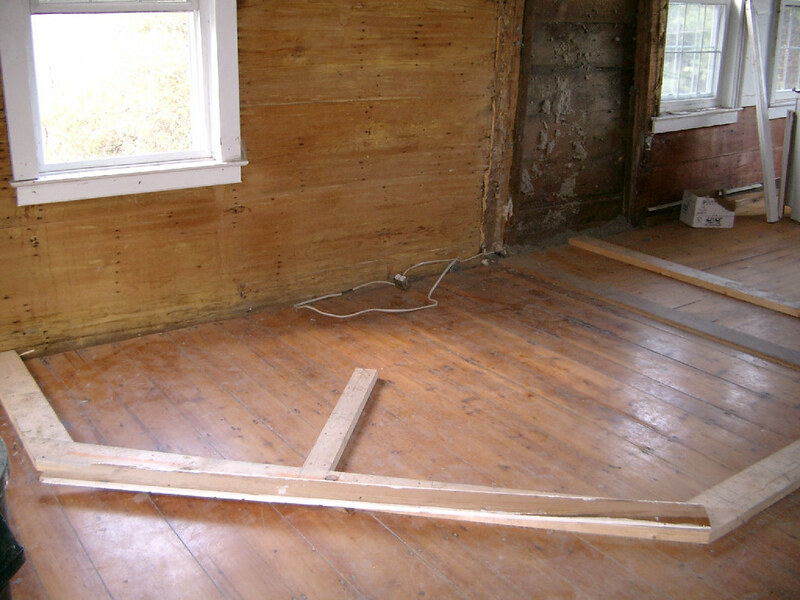 Reinforce the existing beams, and then recover the kitchen with a new ceiling (probably made of some sort of wallboard). Buy replacement antique beams to replace the beams over the new kitchen, splice them somehow to the remaining length of each beam (over the dining area) and then support everything with new posts at the end of the kitchen (between the kitchen and dining areas) or by some other means. 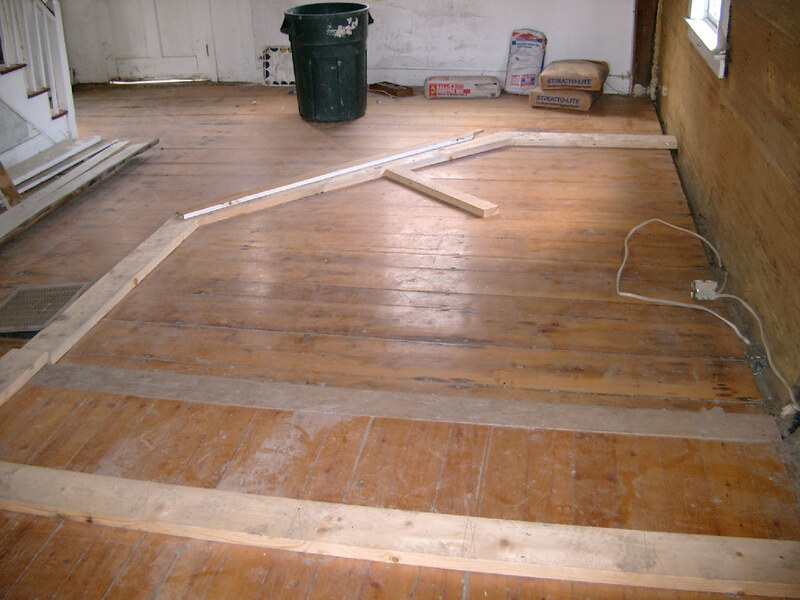 Buy/make new sawn beams and use those to do as described above. 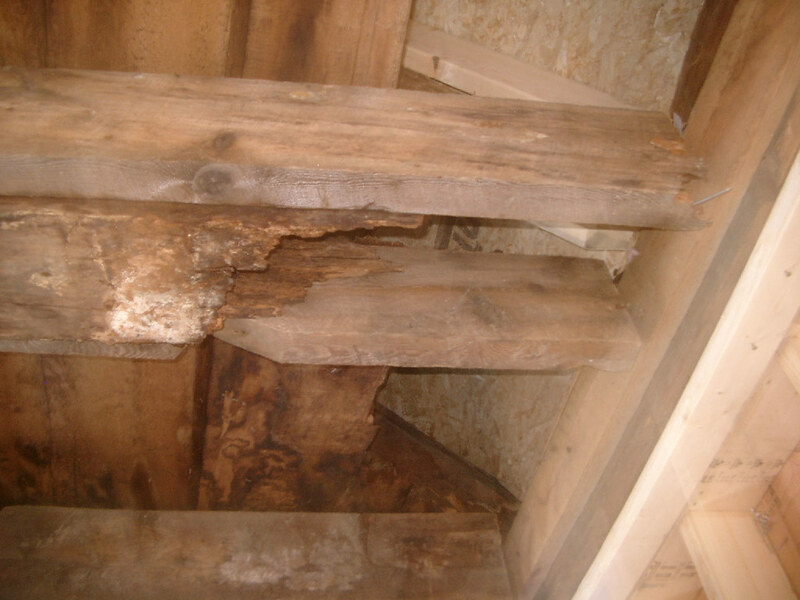 Our first choice is to use antique beams to match the rest of those in our house, but that can be pretty expensive. Stewart is investigating the options. All of the solutions will work, but we don’t know yet how this will be resolved. 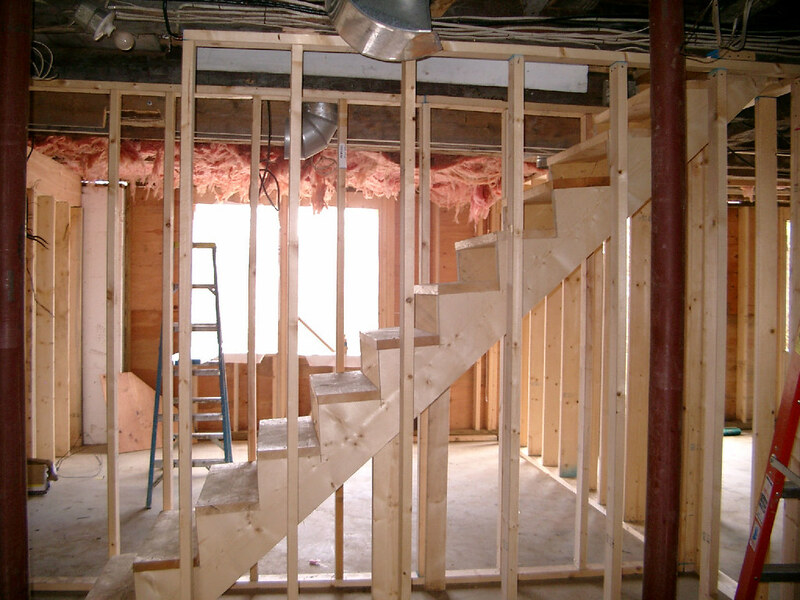 On the good news side, as of Friday, we’re starting to see the new rooms in the house take shape. That angled wall will be the home for our pine armoire, a place to hang coats and such as you first walk into the house (just a bit nicer than the pile on the floor we used to have…). In the bathroom, the sink and toilet (yes! that one you’ve seen in all the pictures) will go against the angled wall, with a 40″ partial wall between the two (position indicated by that bit of wood perpendicular to the angle). The tub will be against the straight wall in the foreground here, with the door in the straight section on the left (before the angle starts). In that corner between the tub and door walls will be (YES!) a laundry chute! The chute will start upstairs, in the closet next to the upstairs bathroom, continue down through this bathroom, and open into a waiting basket on the basement floor. We’d love to have a dumb waiter to get the laundry back up the stairs, but the chute is better than nothing and will provide Hyla and her friends with endless fun, we’re sure. 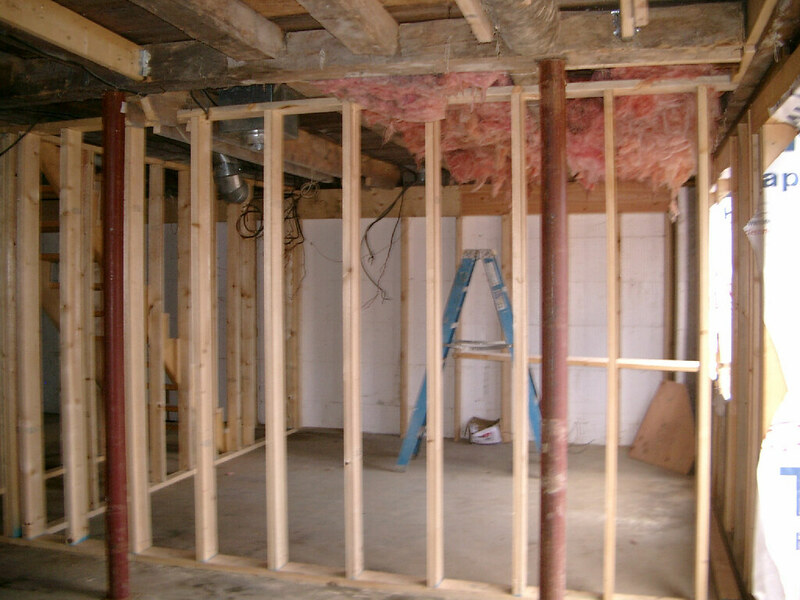 Speaking of the basement, the walls are going up for the office, which will be the only finished room in the basement right now. This is the wall where the laundry chute will empty out against.